A-HOTEL.com - Luxusné a lacné ubytovanie Westerholz, Nemecko. Ceny a rezervácia hotelov v Westerholz a v okolí. Toto je orientačná ponuka najviac rezervovaného ubytovania v destinaci Westerholz za poslednú dobu a je radená od najlacnejšieho ubytovania až po najdrahšie hotely. Pre výber ubytovania podľa Vašich preferencií odporúčame vyberať z celkom 3 ponúk ubytovanie v Westerholz. Po zadaní dát svojho pobytu a použitie filtra si môžete vybrať najlepšie možné ubytovanie v destinácii Westerholz. Zadaný dátum pobytu je pre presný výber miesta na prespanie kľúčové, pretože sa od neho odvíjajú všetky on-line informácie o cenách a obsadenosti ubytovania. Vybrané miesta na prenocovanie (hotely, apartmány a pod.) je potom možné ihneď rezervovať. Fördefarm Natura is located in Westerholz. Some accommodation includes a kitchen with an oven, living room, and a private bathroom with bath. Ferienhaus Behrendt offers accommodation in Westerholz. Flensburg is 16 km from the property. Set in Westerholz in the Schleswig-Holstein region, Ferienwohnung Ostsee bei Flensburg Strandnähe mit Kajaks - [#116714] features a balcony. The accommodation is 21 km from Flensburg. Meer²-Family-Friends-2-Ferienhaeuser is a holiday home set in Langballig in the Schleswig-Holstein Region and is 15 km from Flensburg. The unit is 34 km from Schleswig. Boasting accommodation with a terrace, Ferienhaus Blaue Pause is set in Langballig. Guests staying at this holiday home have access to a fully equipped kitchen. Featuring barbecue facilities, Ferienhaus Fördeblick provides accommodation in Langballigau with free WiFi and sea views. Guests staying at this holiday home have access to a fully equipped kitchen. 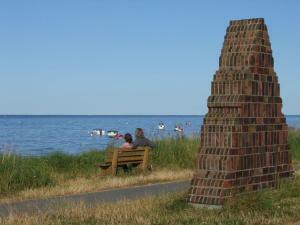 Set in Langballigau in the Schleswig-Holstein region, Strandquartier L A features a garden. Guests staying at this apartment have access to a fully equipped kitchen. Set in Langballig, Ostsee Reetkate offers accommodation with free WiFi and flat-screen TV, as well as barbecue facilities. All units comprise a seating area, and a fully equipped kitchen with various cooking facilities, including an oven, a toaster and a fridge. Set in Langballig in the Schleswig-Holstein region, Ferienwohnung Hyggebo features a garden. Guests have a private terrace. Boasting a garden and a terrace, Klüterkammer features accommodation in Langballig with free WiFi and lake views. The property features garden views and is 19 km from Flensburg. Station L is set in Langballig and features a bar. Boasting luggage storage space, this property also provides guests with a restaurant. This family-run hotel offers elegant country-style rooms with free Wi-Fi. It stands near a forest in Langballig, 3 km from Langballigau Beach and Yacht Harbour on the Flensburg Fjord. Located in Dollerup, landgasthaus streichmuehle offers 3-star accommodation with a garden. Boasting luggage storage space, this property also provides guests with a restaurant. Tante Kamps Hus is set in Grundhof and offers barbecue facilities. The accommodation is 12 km from Flensburg. Set in Broager in the Syddanmark region, Holiday home Højtoften is a 3-star property boasting free WiFi. Guests staying at this holiday home have access to a fully equipped kitchen. Situated in Broager in the Syddanmark region, Two-Bedroom Apartment in Broager is a 4-star property featuring free WiFi. The accommodation is 35 km from Flensburg. Set in Broager in the Syddanmark region, Two-Bedroom Apartment in Broager is a 4-star property featuring free WiFi. The accommodation is 35 km from Flensburg. Two-Bedroom Apartment in Broager is situated in Broager. Guests staying at this apartment have access to a fully equipped kitchen. With a garden and a terrace, fewo1846 - Landliebe is located in Husby and features free WiFi. All units are equipped with a flat-screen TV and a fully equipped kitchen with a a dishwasher and coffee machine. Two-Bedroom Holiday Home in Broager is set in Broager. Guests staying at this holiday home have access to a fully equipped kitchen.